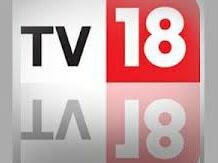 TV18 Broadcast Ltd, the arm of Network18 Ltd which runs the channels CNBC-TV18, CNBC Awaaz, CNN-IBN, IBN7 and IBN Lokmat, is dismissing many of its staffers. It appears to be in the process of doing so to a little over 300 employees across departments. Sources in the company say the bulk of those asked to go are from the CNN-IBN and IBN7 channels. Executives in Independent Media Trust and the human resource personnel from the network reportedly sat at a round table, putting the termination letters in the respective envelopes and stamping these. “It almost looked like a post office, the way they were stamping letters in the conference room,” said an employee. Reliance Industries has indirect control in the TV18 network by virtue of an investment of Rs 4,800 crore it made in Network18 through Independent Media Trust. Sources say the restructuring is taking place due to pressure for cutting employee cost as a percentage of the total cost. An e-mailed query to a TV18 network spokesperson did not elicit any response. A top source associated with the restructuring had said this proportion was much higher than the norm in international news channels. Persons in the know says the news business at TV18 will be undergoing restructuring. When asked for details on the exercise, the TV18 and Network18 managements did not receive calls or respond to emails. In July, Network18 set up Network18 Newsroom, which brought the digital and broadcast news entities under one unit. It has now been learnt that the English and Hindi channels will be integrated as part of the restructuring and if persons in the know are to be believed, Rajdeep Sardesai will be leading the new integrated unit. Earlier this week, Dilip Venkatraman stepped down as chief executive officer of CNN-IBN and IBN7, citing a desire to pursue personal entrepreneurial ambitions. In his stead, Ajay Chacko heads the two channels.